MISSION, KS--(Marketwired - May 26, 2016) - (Family Features) Say goodbye to boring burgers -- this summer, they're going from ordinary to epic. Whether you're using an intensely flavored spice rub to create a caramelized outer layer or adding game-changing toppings like a fried egg, these crave-worthy burger recipes will have you saying, "Ketchup and mustard? Not today." 1. Smoky Maple and Sage Breakfast Pork Burger - Perfect for breakfast, lunch or dinner, this creation is truly a maple marvel. 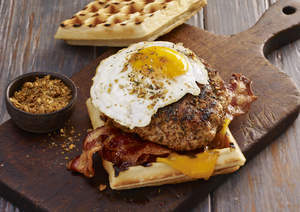 Use Grill Mates Smokehouse Maple Seasoning for a smoky sweet rub on a pork patty, top with crisp bacon, cheddar cheese and an ooey-gooey fried egg then sandwich between two syrup-drizzled waffles. 2. 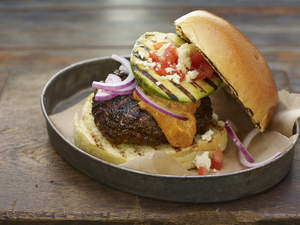 Southwestern Smoky Ranchero Burger with Grilled Avocado - This Southwestern burger is seasoned with a spicy blend of smoked paprika, chipotle pepper and garlic then topped with a tangy lime mayonnaise and a grilled avocado that's stuffed with tomatoes and Cotija cheese. 3. 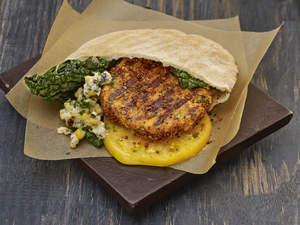 Mesquite Chickpea Burger with Grilled Corn Topping - Go Texas bold with this knockout vegetarian burger made with sweet potato, chickpeas and zucchini. The mesquite rub packs a perfect punch of chili pepper, garlic, onion and paprika, while the creamy grilled corn topping is bursting with rich, savory flavors from cumin, queso fresco and lime. 4. 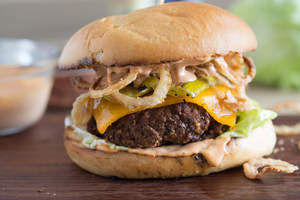 Cowboy Burger with Grilled Pickles and Crispy Onion Straws - Get ready for an all-American burger that lassoes in killer flavor from a savory rub of Grill Mates Smoky Montreal Steak Seasoning, chili powder and brown sugar. Increase the intensity with a rich BBQ mayonnaise, melty cheddar, grilled pickle slices and crispy onion straws. 5. 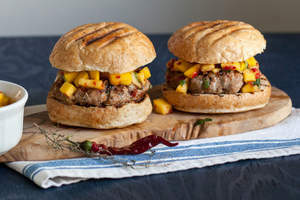 Caribbean Turkey Burgers with Fiery Mango Salsa - Escape to the tropics with these island-ready burgers. Fresh mangoes with sweet and spicy red chili sauce bring an explosive tang to this savory patty, seasoned with cilantro, allspice, red pepper and thyme. 6. 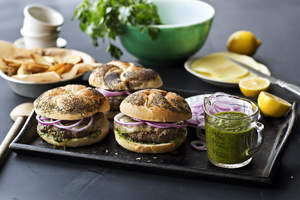 Argentinian Beef Burgers with Chimichurri - Bring South American flavor to the grill. Add Chimichurri sauce to ground beef and use it as a topping to get that fresh, garlicky Argentinian punch with a bit of spice from parsley, garlic, oregano, fennel and cayenne. 7. 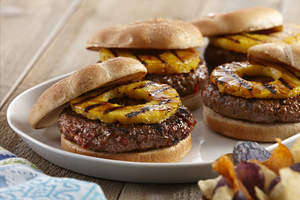 Polynesian Burgers - This vacation on a bun exudes island flavor with a ground beef burger seasoned with red bell peppers and Lawry's Teriyaki Marinade with Pineapple Juice. Top it off with a tangy grilled pineapple slice for a tropical burst in every bite.